The new version of FluidMark comes with a cool feature: the multi-core CPU support. What does it really mean ? 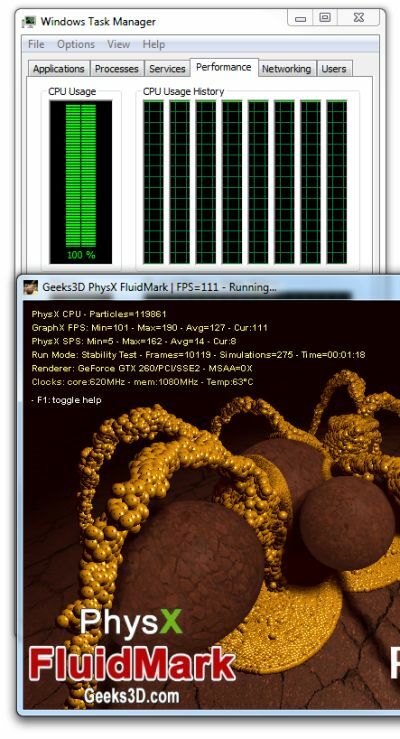 Simply that you can run the whole PhysX fluid simulation on the CPU in a 100% software mode AND the fluid simulation is spread over all CPU cores in order to speed up computations. 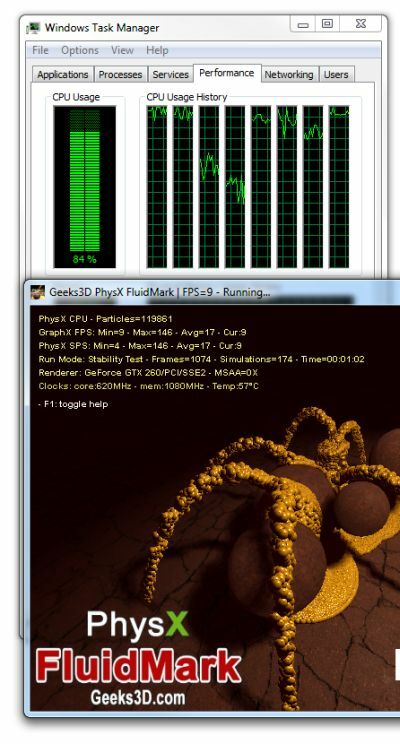 In both modes, and when Force PhysX CPU is checked, one or several threads are used for the fluid simulation. The number of threads is actually drived by the number of emitters. In synchronous mode, all PhysX threads are synchronized with the rendering thread. That’s why the number of FPS (frames per second – rendering) is the same than the number of SPS (simulations per second – physics). You discover the term SPS for the first time ? Normal, I created it during the dev of FluidMark to differentiate the speed of graphics rendering to the speed of physics simulation. 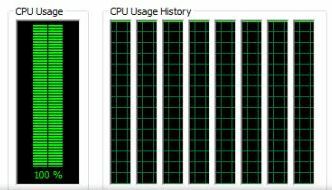 In synchronous mode you’ll never get a 100% CPU usage because the synchronization introduces a kind of wait state every frame. In synchronous mode, even if you select more emitters than the number of CPU cores-1, the fluid simulation will run without problem (if the number of particle is large, it simulation will be slow). On the other hand, in asynchronous mode, you’ll have some troubles if the number of emitters exceeds the number of COU cores -1. I found a bug that makes it crash. Just type a bigger number than (CPU Cores – 1) into the # of emitters box then start the benchmark.